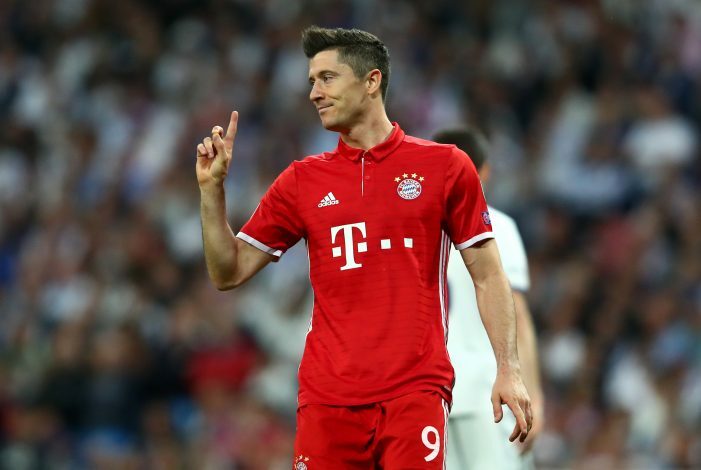 Earlier this month, Robert Lewandowski met his agent for dinner as they talked about his future, after the Polish international decided he doesn’t want to stay in Munich next season. Lewandowski is one of the most prolific strikers in the world at the moment. The 30-year old started his career in Poland with Znicz Pruszków in 2006. Since then, he hasn’t stopped finding the back of the net regularly. His big break came in 2010, when Borussia Dortmund bought him for €4.5 million. After spending four seasons with the Black and Yellows, Robert Lewandowski was scooped up by Bayern Munich on a free transfer. The forward has since managed to score 151 goals in 195 appearances, with the Champions League being the only trophy missing in his cabinet. Lewandowski has been pushing for a move to Real Madrid over the past months. In an attempt to secure the dream move, the Poland star also changed his agent to Pini Zahavi earlier this year. Recently, the striker has held talks with Bayern president Uli Hoeneß and has asked to leave the club. Hoeneß told that the player will be sold if the right offer arrives. Zahavi has been receiving calls from a number of European clubs this summer. According to Sport Bild, Manchester United, Chelsea and PSG are interested in signing the player. But Lewandowski has rejected the offers, as he eyes a move to Real Madrid. Los Blancos are in need of a striker, as they look to replace Karim Benzema. ABC suggests that Harry Kane, Mo Salah, and Neymar are on Real’s watchlist. But all of the aforementioned stars are likely to cost over €200 million, making Lewandowski a much cheaper option. The same report revealed that Zinedine Zidane wasn’t a fan of the player due to his performances against Real Madrid. But his departure has paved way for Lewandowski’s dream to come true this summer.